With the evolving advancement in the food industry, the customer's demands grew alongside. Customers now demand satisfying services and more benefits with a low budget. While this has become a challenging task for restaurant owners to fulfil customer demands in the low budget. Large restaurants are able to manage somehow by offering extra deals and services while the startup restaurants still struggle while satisfying their customers. So, there seems a need for a tool which can assist us to enhance our customer's experience. Isn't it? As with the growing demands in the food industry, there was a huge burden on the sales team of the restaurants to drive more sales while enhancing the customer experience alongside. 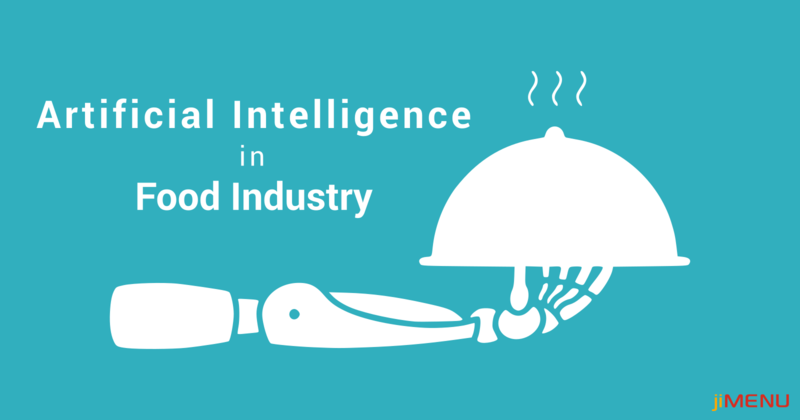 So, while looking for the best alternative ways, the industry makers made an effort to implement the concept of AI into the food industry and benefit from it. Unlike the manual way of managing restaurant tasks, AI would make the whole process be carried out smartly and quickly. This helps in removing the human errors and increase the quality of the services you offer your customers. Here is a list of major benefits offered by AI to the food industry in order to enhance customer experience and even raise the quality of services you serve them. Shelf Management: In order to automate your inventory management and carry out tasks accurately, AI can be a helpful concept. Your staff can click pictures of the store shelves and the AI process then further keep a record of misplaced or missing stock and notify you immediately. Customer Service: Depending on the past experiences with the customers, chatbots can easily present the customer shopping data and their past history. Accordingly, you can figure out their interest areas and prepare accordingly. Image-based Procurement: Implementing AI makes the procurement process easy and reduces the time while sending an order. Your staff can easily click a photo of a food item which can be saved over the database. It becomes easy to search for the item in the future. Smart Support: The orders which were made maximum by the customers or the seasonal food items, all the data gets recorded as per customer preferences and AI will suggest you add the foodstuff which got ordered in large amount. Customer engagement: AI will let you analyze the customer's social media conversations which will help in identifying their interest areas. This will assist you in improving your services, or even add new ones as per liked by the customers. Looking for a vendor? You can count on us! jiMenu POS is one such leading restaurant management solution which has been delivering the best services to the customers worldwide. It assures you the streamlined tasks for your restaurant and enhances the customer experience in the most affordable costs. Still confused about choosing us? Contact our team at any time and get assistance from them.